After Fenerbahce Beko’s defeat to Real Madrid, Marko Guduric talked about his team’s performance in Spain and what has to be improved in the future. 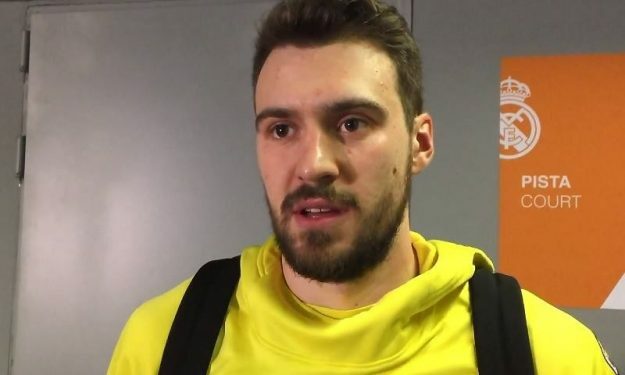 Eurohoops caught up with Marko Guduric following Fenerbahce Beko’s road game against Real Madrid. The Turkish club suffered its biggest loss of the 2018-19 season in the EuroLeague Regular Season Round 25 match, but still is on top of the standings. Guduric scored 12 points in 18:38 on Thursday. After the game he told Eurohoops: “It’s a tough loss. Not only the loss itself, but the way played. They wanted this win more than us”. The Serb guard also pointed out: “We didn’t have a full roster due to injuries, but everybody is coming back. Hopefully we will be ready to practice hard and for the games”. The 23-year-old guard has played in 25 EuroLeague games this year starting in eleven occasions. He’s averaging 9.2 points, 2,3 assists and 1.8 rebounds.